“Talks” is a series featuring the Ruby Roundtable meetup and other videos that share new developments in the Ruby community. Receive new “Talks” videos via email below. It’s 100% free! What's new in Rails 5? Learn all about the new features and interesting changes coming down the pipeline. Hosted by AlphaSights. We had a great discussion about components and how things are changing not that React and Angular are gaining steam. Refactoring is one of the more difficult skills in programming. Tute Costa demonstrates some great methods to get you started. At this Ruby Roundtable Meetup, we discussed tips and tools on how best to modify legacy code. We discussed how to use Ruby in service of consistent quality builds and solid infrastructure. Mitch VanDuyn lead a live / interactive development session where we used React.rb to build a Todo App. In this talk, Brooks Swinnerton covered the fundamentals of GraphQL, Relay, and showed how you can power your next Ruby API with the graphql-ruby and graphql-relay-ruby gems. Matt Jording led a discussion on security concerns when working with Ruby. Jason Toy,founder/CEO of http://somatic.io did an excellent job of breaking down the main concepts of deep learning and explaining some example code. This is part 2 from our September 2016 meetup. We discussed a few topics, especially a review of the book "Leprechauns of Software Engineering". Todd Wahnish, co-founder of One From Zero, presented specific patterns you can follow for how to engage with customers, where to focus energy and how to re-work your business model to clarify your needs. In this Ruby Roundtable meetup, we talked about the uses of DSLs and explored one written in Ruby. This was an impromptu meetup as our original speaker woke up with the flu. Matt Jording jumped in and when he arrived he asked, "Hey, how about we talk about tools for Mac?" At this meetup, David Hersey took us on an indepth tour of his RubyMotion app. We discuss the first 3 chapters of Sandi Metz's new book 99 Bottles of OOP. You don't need to have read the book to enjoy and learn! I presented tips on the best ways to contribute to Open Source. Antoine Leclercq presented his experience with building a background job processor from scratch. Paul Stefan Ort presented! Yay! We worked together to solve a problem involving Ruth–Aaron pairs. Sun-Li Beatteay presented on his experience creating a collaborative text editor. At this Ruby Roundtable, we talked through different strategies for breaking up a large Rails app. At this meetup, we talked about when making a gem makes sense, and we worked on creating a simple gem together. Kate Travers presented Dynamic SSL Proxy for Jupyter Notebook Integration. It was about a fun workaround they had to do to support new data science course. Keith Bennett presented on Writing a Command Line Utility in Ruby - Automation is Not Just For Your Users. 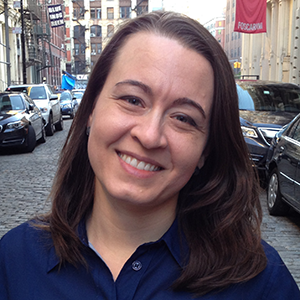 This talk will cover how to make the case for the paydown by building a more trustful team. We explored four languages in small chunks and discussed pros/cons/uses/etc. 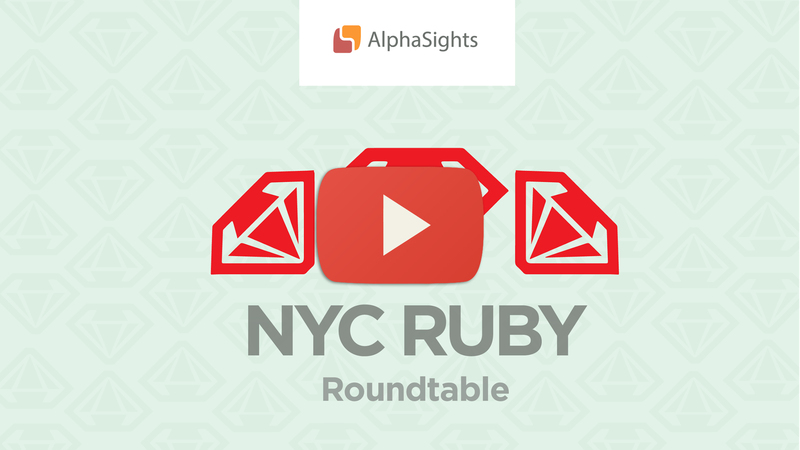 Ruby Roundtable is the original community meetup for Rubyists in New York City. Founded by Matthew Jording in 2008 and co-organized by Melissa Wahnish, the Ruby Roundtable meetup is unlike any other. While most meetups offer a traditional “presentation” or ”lecture” style format - a speaker talking to a passive audience – Ruby Roundtable is a unique interactive roundtable discussion focused on a community selected topic. Members include veteran Ruby developers, Jr devs, and those just starting out. The diverse and inclusive nature of the Ruby Roundtable meetup creates an original platform for debate and discussion while embracing the core values of the global Ruby community. Want to stay on top of the latest gems, tutorials and current developments in the Ruby community? Sign up below for free! Hey Melissa! Please hook me up with free videos so I can stay at the top of my Ruby game. Located in or around NYC? Click here to check out the next meetup! “What’s RubyThursday? It’s a free weekly (on Thursdays, get it? :) online show that gives you bite sized tutorials, tips and tricks and reviews for the latest tools, gems and sites to help you grow as a Rails developer.